Tenth Harvest seeks producers from around the world who create high quality products with a story behind them. We are both importer and distributor, and focus on estate wineries. We buy directly from small farmers, usually family-owned small businesses. We know them personally and have walked their farms. Buying direct supports small businesses, and affords higher margins for us and increased value for our customers. Good wine starts in the vineyard. It takes years of growing seasons and harvests to produce fruit capable of quality wine, and years for the farmer to master the particularities of soil and climate that make up terroir. The same story has been told by winemakers from Oregon to Champagne: after nine years, it all comes together in the Tenth Harvest. 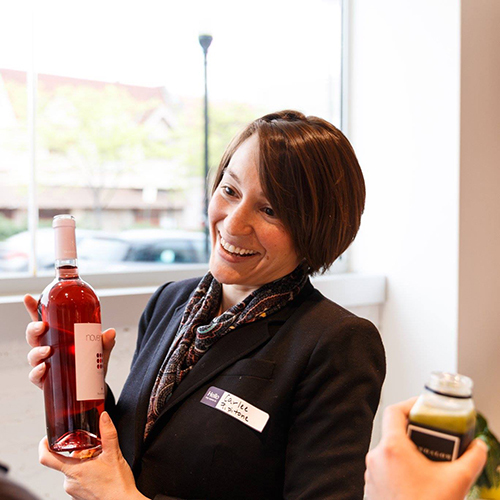 Carlee’s passion for wine is rooted in a love of all things Italian. She taught herself Italian after becoming fluent in Spanish at the age of thirteen. She lived in Italy as a student in Milan, and an English teacher in Brescia; worked for a European travel agency, waited tables, and worked as assistant to the owners of Baltimore’s premier restaurant group. Friends will verify that in college, her dream was to make a living eating food and drinking wine. Through doing these things she loved, Carlee developed relationships with winemakers who are now part of Tenth Harvest.